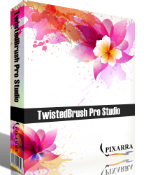 TwistedBrush Pro Studio 22.03 war am 23. August 2018! als Giveaway verfügbar! 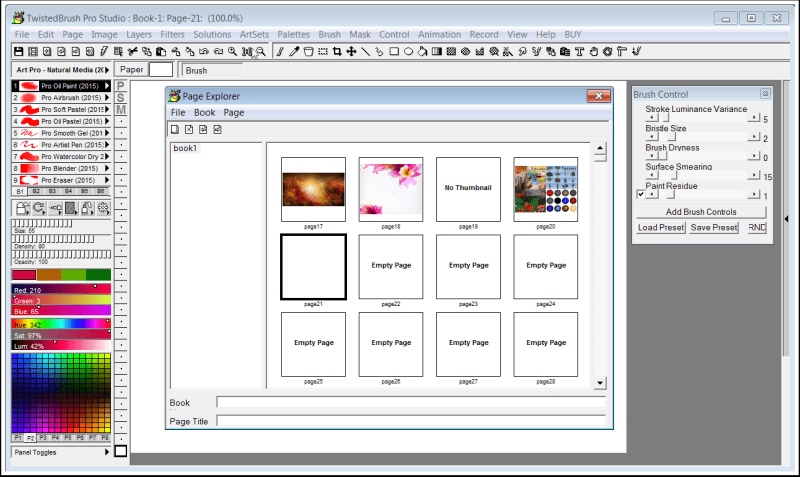 TwistedBrush Pro Studio ist ein Programm für digitale Künstler auf jedem Niveau - vom Anfänger bis zum Profi, mit einem starken Fokus auf natürlicher Malerei, Fotobearbeitung und illustrativem Stil. TwistedBrush hat mehr als 9000 Pinsel in über 250 ArtSets und eine Option zum Bearbeiten der Pinsel! 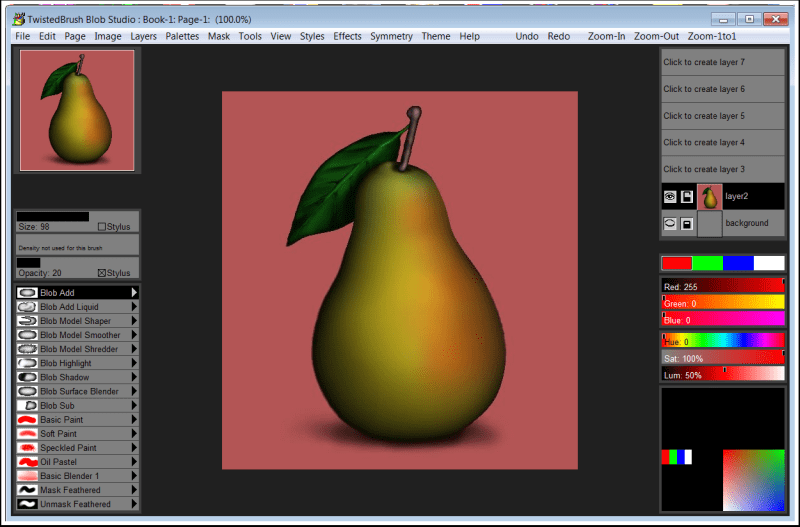 Zusammen mit der Brush Engine steht euch eine Fülle von Funktionen und Tools zur Verfügung: 64-Bit-Imaging, Zeichentablett-Unterstützung, eine große Auswahl an Farbpaletten, Ebenen, Masken und Transparenz-Unterstützung, umfangreiches Tool-Set, über 200 Bildverarbeitungsfilter, Clips und vieles mehr! Malen und Zeichnen mit natürlichen Pinseln - Paint Studio macht keine Kompromisse, wenn es darum geht, das Beste aus der TwistedBrush-Engine herauszuholen. Präsentiert in einer Schnittstelle, die perfekt für das Erschaffen neuer Kunstwerke mit ausdrucksstarken Pinsel aus dicken nassen Ölfarben und flüssigen Aquarellen zu glatten Ölpastellen und feinen Airbrushes und allem was dazwischen liegt. 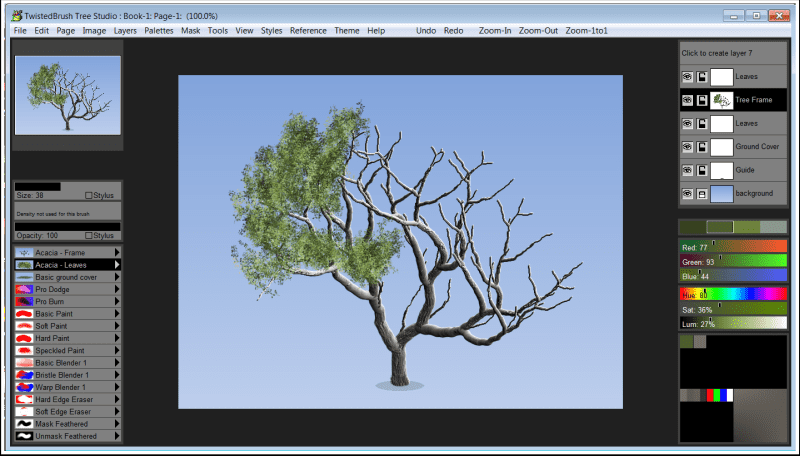 Tree Studio ist ein Produkt, das aus einer aus TwistedBrush Pro Studio, aber mit einem Schwerpunkt auf 2D-Baum-Erstellung mit einem einfachere, optimierte Schnittstelle. Tree Studio verfügt über Pinselpaare für jeden Baumtyp. Eins für den Rahmen und eins für die Blätter. Der Rahmen wird algorithmisch erzeugt, so dass er jedes Mal anders ist. Auf diese Weise könnt ihr jeden Baumtyp eine unendliche Vielfalt erstellen. Luminance Studio ist ein Pixarra-Produkt aus der Studio-Serie mit dem Schwerpunkt Malerei mit Leuchtdichte für natürliche Medien und Design-Stil von Kunstwerken. Es baut auf dem Erfolg anderer Studio-Produkte von Pixarra auf und gibt euch, den Künstlern, ein Werkzeug, um eure Vision schneller zu verwirklichen. Selfie Studio bietet euch kreative Werkzeuge, um eure Fotos so zu bearbeiten, damit ihr genau den Look bekommt, den ihr euch wünscht. Mit den Blob-Pinseln könnt ihr eure Objekte modellieren und formen und dann mit den mitgelieferten Pinseln ausmalen. Die Ergebnisse sind knackige Linien, die ihr in der Illustrations-Software sehen könnt, ohne dass ihr etwas maskieren müsst. Nach dem Ausmalen könnt ihr eure Objekte weiter nach Belieben formen. How to register a valid version? "The name/key you entered does not appear to be valid. Please try again." How to register a valid version? "The name/key you entered does not appear to be valid. Please try again." Benötigt zum Laufen die zusätzliche Installation von Microsofts DirectPlay. I had this software many years ago and never got it again when the computer it was installed on died. 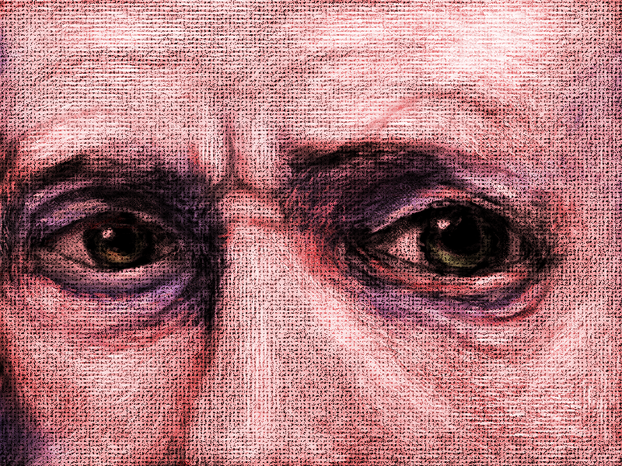 It's great for making digital paintings and I look forward to playing with it again after all this time. Installed easily and with no troubles on my Win 8 64 bit computer. Noah Body, the proof of the pudding is in the eating. So I installed it on a (virtual) 32 bits W7, ThinPC machine. It installs fine and runs nice. So it is a 32 bitter. 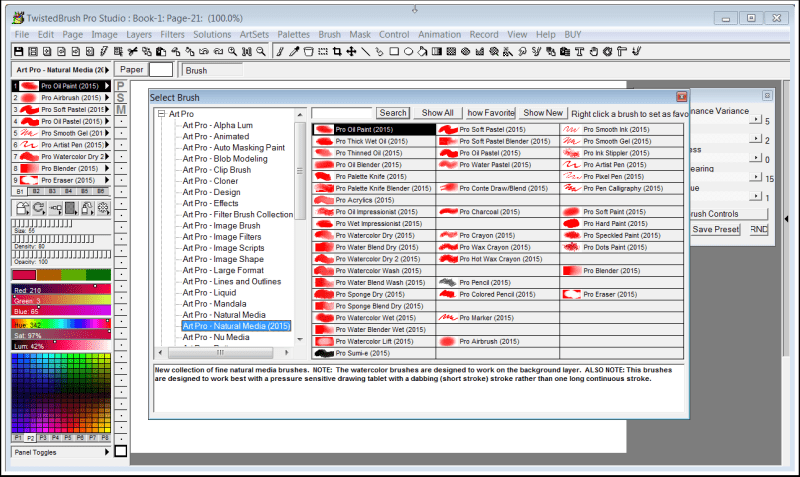 I had the same problem at first but found the solution: You need to enable DirectDraw. Go to control panel>programs>programs and features, under that is "turn windows features on or off. Look for section for legacy, expand it and check direct play. All will work fine then. 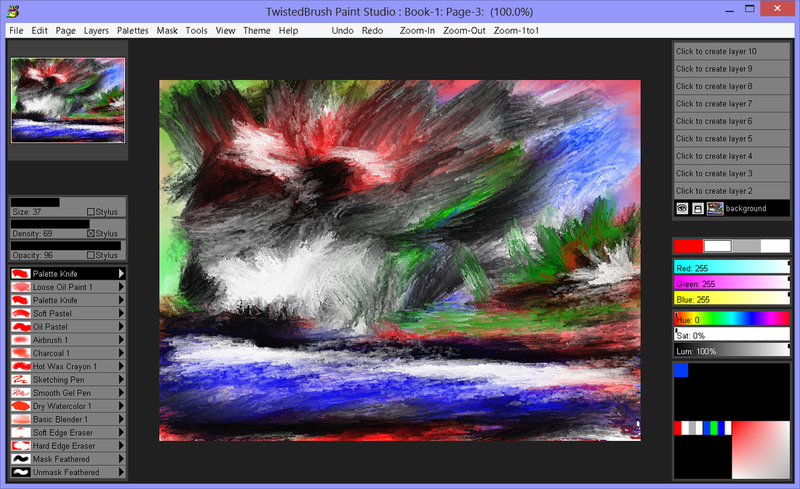 TwistedBrush Pro Studio is not bad at all. I have it installed on a Windows tablet that has an active pen & it's nice. The downside, least for me, is I've never had much success with an app like this using a mouse, or a less precise touch screen on a tablet -- I need to use a drawing tablet with a PC, or like I said, a screen that lets you use an active pen. There are some cheaper Windows tablets with active pens available -- I've seen them mostly on ebay -- & I've seen drawing tablets starting in the $40 range for PCs/laptops on sale at Amazon, Newegg, & Monoprice. A drawing tablet big enough to be useful will set you back closer to $200 OTOH if you go for the name brand, Wacom. For similar software, I've seen Corel Painter for ~$100 as a full version upgrade on sale, but it's rare -- I've seen the student version for the same price much more often. Corel also has a limited function Essentials version that I've seen sold for around $30, or bundled with other offers. Autodesk has a few apps, I think one of them is free in Windows 10's store. And Krita is an open source alternative that's actively developed & available as a portable app. 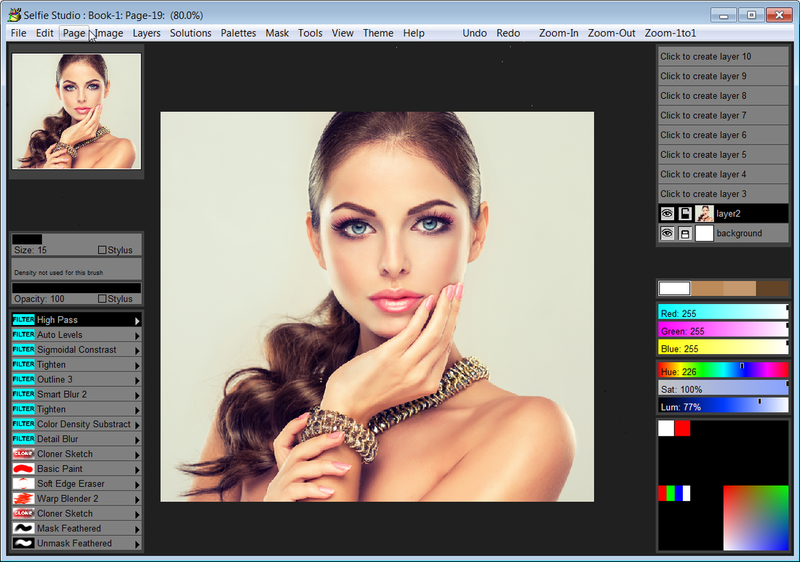 TwistedBrush Pro Studio is not bad at all. I have it installed on a Windows tablet that has an active pen & it's nice. The downside, least for me, is I've never had much success with an app like this using a mouse, or a less precise touch screen on a tablet -- I need to use a drawing tablet with a PC, or like I said, a screen that lets you use an active pen. There are some cheaper Windows tablets with active pens available -- I've seen them mostly on ebay -- & I've seen drawing tablets starting in the $40 range for PCs/laptops on sale at Amazon, Newegg, & Monoprice. A drawing tablet big enough to be useful will set you back closer to $200 OTOH if you go for the name brand, Wacom. For similar software, I've seen Corel Painter for ~$100 as a full version upgrade on sale, but it's rare -- I've seen the student version for the same price much more often. Corel also has a limited function Essentials version that I've seen sold for around $30, or bundled with other offers. Autodesk has a few apps, I think one of them is free in Windows 10's store. 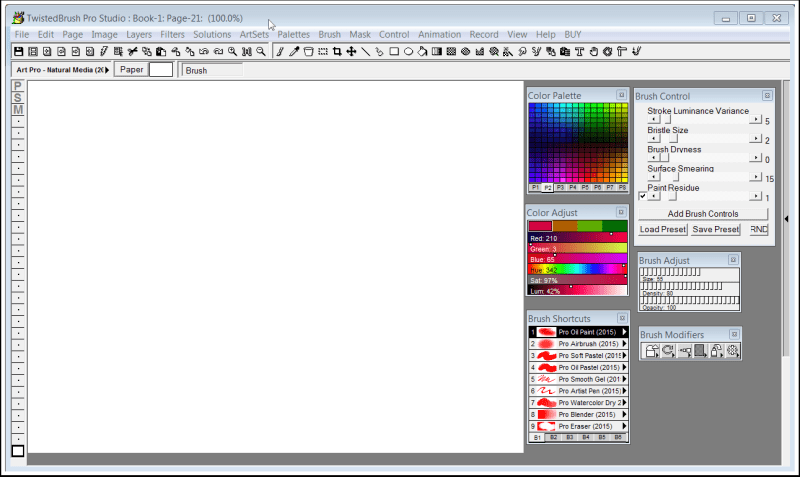 And Krita is an open source alternative that's actively developed & available as a portable app. I have installed and registered your software, but when I try to open it I got en error message: Error starting module Win32DPNetGame. Any hints? Hi Ferenc, If Windows is configured to not automatically install optional components an error may be reported as unable to start Win32DPNetGame. In this case you may need to manually enable the DirectPlay functionality of Windows.